photo credit: Michael Dorausch, flickr. The original Garmin Forerunners (such as this 201, above) were released in 2003, targeted towards the running and endurance community, allowing them to track overall distance, pace, and time of training runs and races. These Forerunners held on strong until the 205 and 305 models were released in 2006. When I started seriously running in 2007, it seemed having a GPS watch was a luxury, and not a common practice. But soon after, many other companies hopped onto the wearable GPS watch bandwagon, and with more choices available on the market, GPS watches became more prevalent on runners wrists. 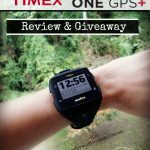 Timex, TomTom, Suunto, Polar, and even a women’s specific watch, the BIA, all offer not one, but numerous models of endurance sport specific GPS watches. And that’s just to name a few companies. 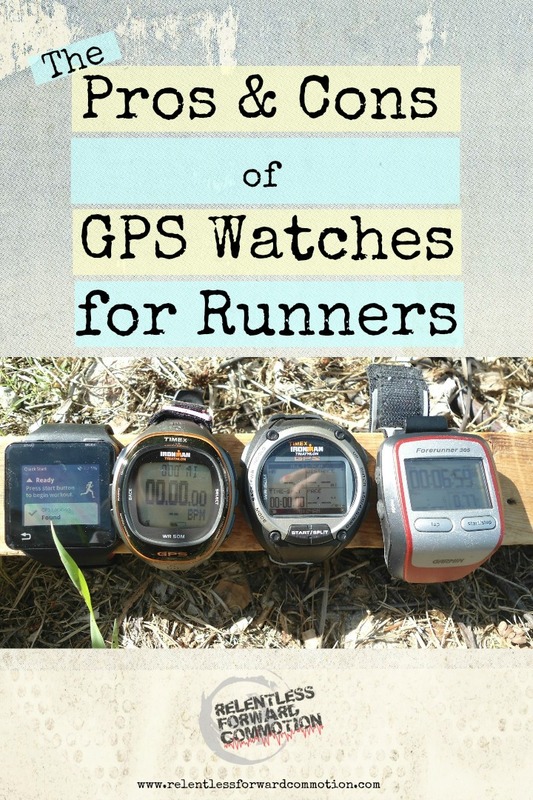 So if every runner has a GPS watch, they must be useful, right? Sort of. While there are numerous benefits to training with a GPS watch, there are also some negative aspects that may harm a runner’s training and progress. In this post we will discuss a little bit of both sides of this argument. 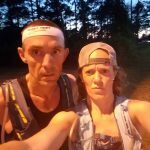 Though many of you may be hopeless GPS converts already, I hope that this post will provide a little insight to the pros and cons of this wearable technology to the beginner running crowd, or anyone considering purchasing a GPS watch to assist with their training. The convenience of GPS watches cannot be denied. Let’s say you are training for a race, and you have a specific time goal. Maybe it’s a Boston Qualifying time, maybe it’s simply faster than your last personal record. 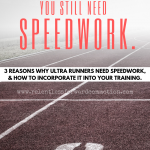 Regardless, when training for a specific goal there are often many requirements that accompany most training plans, such as necessary distance, mile splits, and overall pace just to name a few. Having access to a device on your wrist that can monitor these measurements at any given time avoids having to do any sort of difficult or confusing calculations mid run, and make it far easier for a runner to maintain a steady pace. It also allows you to avoid the act of mapping out your local neighborhood using the odometer of your car. Further, many models of GPS watches allow the runner to set various alarms, such as pace alarms, time, or distance intervals. Doing so allows runners to focus on their running, instead of worrying if they have yet reached their specific time or distance interval, and prevents the necessity to constantly overanalyze their pace. Don’t have a local track to run Yasso 800’s on? No problem! Pre program the workout into your GPS, and it will let you know exactly when you’ve reached 800 meters, and also when your rest interval is over. All of this information is stored within the watch, and can often be uploaded to a computer. This allows the runner to track and analyze their training and racing over time, which can help to determine where a runner may need to make improvements to their training. But this of course, can backfire. While having access to all of this data can certainly be helpful, it can also become detrimental. Many runners rely on the numbers on the screen of their GPS watch to determine their running pace, instead of listening to their bodies and running by feel. Relying on these numbers may prohibit a runner from being able to physically interpret the difference between their race pace, tempo pace, aerobic pace, and so on. 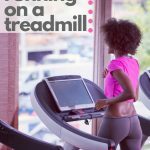 A runner who is constantly trying to determine their pace based on the GPS screen may become easily distracted, frustrated, and unable to complete their desired workout as prescribed. Further, technology is not always accurate, and the GPS signal may be delayed at times. As a result, a runner may speed up or slow down their workout based on an inaccurate GPS reading, and therefor not reach their goal. Learning to pace based upon feel, and only relying on the GPS as a backup, will result in more consistent, successful workouts. And speaking of dependence, let me ask a question: have you ever delayed or skipped a run because you forgot to charge your GPS watch and the battery is dead? You can admit it, I’m guilty as well. 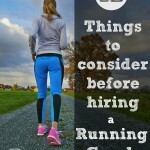 But if you have come to rely on your GPS for your ALL of your workouts, finding out that you cannot run with the GPS for whatever reason may become frustrating, or even detrimental, to your training. Taking frequent runs without your GPS watch will ensure that you can still enjoy your workout and the act of running without the constant data feedback. Distance (from your GPS) makes the heart grow fonder. Motivation or too much pressure? Sometimes how fast (or slow) we think we are running and the actual pace we are running are two vastly different numbers. Knowing your exact pace, as shown by a GPS watch, may be incentive to push harder and run faster, ultimately helping improve your running pace. But then there is the case of recovery runs. Easy workout days are prescribed for a reason; they allow your body to actively recover between more intense workouts. 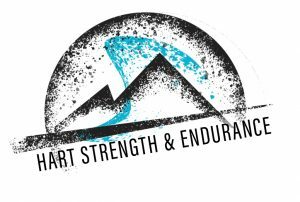 Now, endurance athletes tend to be slightly obsessed with numbers, and hate seeing a pace much slower than what they know they are capable of. Yes, that is a vast generalization, but the running crowd knows exactly what I’m talking about. For some people, knowing their pace at any given moment may cause them to push harder than they should for that specific workout. Leaving your GPS at home on easy runs will allow you to relax and focus on your pace based upon listening to your body. Point blank: GPS watches aren’t cheap. The starting price point of a GPS watch hovers around $100, and can easily surpass $400. The cost varies greatly dependent upon the features included in the watch. A basic distance and overall pace system is going to be significantly less expensive than a waterproof, multi-sport, fully programmable option that gives you exact pace and location at any given time. Which brings us to the next topic: ease of use. Some of these GPS watches are difficult to figure out at first, or may have far too many options than you require. If you are seriously considering purchasing a GPS, be realistic about what you hope to use the watch for. 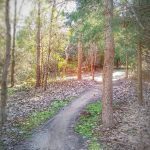 In other words, don’t opt for a multisport option simply because that model is on sale or offered in a color you like if you are never going to swim or ride a bike; the extra options may simply cause frustration. If cost is an issue, start small with a smart phone app, such as MapMyRun, that give you similar GPS features and feedback, at a fraction of the cost (or in some cases, free). Or use a regular wrist watch with a chrono and lap feature, as often mentioned by our running predecessors. 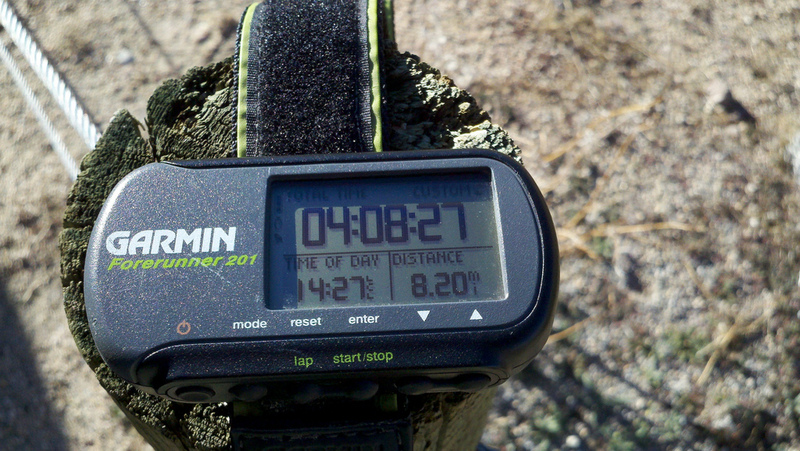 It cannot be denied that the data provided by GPS running watches can be convenient and helpful to a runner’s training. However, it is important to keep in mind that the data provided is not always entirely accurate, and that in the end, the GPS watch should be a helpful tool, not a hindrance. Constant numbers and data feedback can indeed be helpful, but it may become incredibly frustrating to some runners, especially if they are struggling to meet a prescribed workout pace, or a perceived pace based on how fast they think they should be running. This frustration not only takes the joy out of running, but may lead to mental burnout in some runners. Remember why you started running. Was it for the joy and love of the sport, or simply to see bigger and faster numbers on a screen on your wrist? Solve potential GPS burnout (and obsession) by leaving your GPS watch at home from time to time to simply enjoy the act of running. I promise the world won’t end if you don’t have those miles to log into your dailymile or Strava accounts. 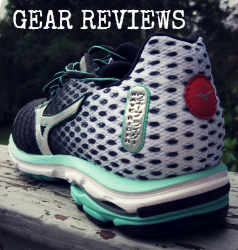 Input from the running community! 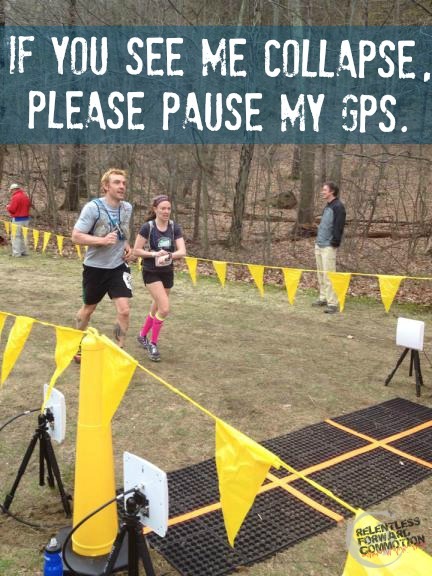 Do you train with a GPS device? Has it been helpful or a hindrance? Do you opt to train without it from time to time? Thanks for the informative read…Think I’ll just run with a pace group on my first half and save my money… or get a less expensive one so I can be one of the “cool kids” haha either way I’m going to have a good run!!! You are very welcome Awyna! Pace groups are INVALUABLE during a race. Not only do they keep you moving at the right pace, but you have built in support, motivation, and entertainment! 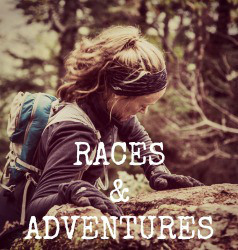 What half are you looking to run as your first? Totally agree with you on all counts–GPS is great as a place to check in, or to bring your training forward, but dependency on it can make you crazy. I generally use it for long runs and races, but otherwise, I just try to run by feel. I’ve been in the “you drive me crazy Coach Garmin” camp (I totally named my GPS), and now I too am trying to do my regular runs by feel. It truly brings you back to the root of running. I feel much stronger because of it! I like using my GPS watch – it’s easier to stop & start than trying to get to my phone in a pocket or armband. That said, I did discover last year that I’m actually faster when I don’t look at it. When I look at my pace, that VOICE it my head will start telling me I’m going too fast & I need to slow down or I won’t finish. 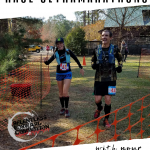 I joined a training group for a half marathon, and they trained running by time instead of distance (run 60 minutes, as opposed to run 6 miles, for example). I changed my display to show elapsed time, so I would know I’d run 30 minutes & it was time to turn around. Afterwards, when I synced my watch and looked at my runs online, I realized I was running faster. So I just kept the display that way, so that I never know my pace until I’m done. It has elapsed time and elapsed distance, so I suppose I could figure it out if I wanted to do math while I’m running, but I don’t see that happening. Yeah, math while running is so hard! I had a friend once tell me you know you’re running hard enough when you can no longer do simple math in your head, haha! 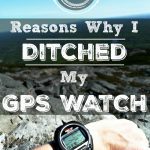 I’m glad to hear that you’ve found a technique that works for you with your GPS watch! That inner voice is always the biggest demon, isn’t it? 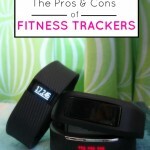 I do train with a GPS watch, and for the most part, it’s a help to me. However, there are times when I am struggling, where I constantly check and obsess over my pace and it does get me down. Since upgrading from the forerunner 10 to the forerunner 220, it’s been easier to keep an eye on my overall progress. If my watch is dead, I use my phone and run keeper, just because I like to have exact count of my miles. Great post! I have a love/hate relationship with my GPS watch. I am currently tryng to run on feel, but that is hard! I love my Garmin but there is definitely that dependence on it. I like to run “naked” sometimes just for the joy of running. I do train with some what of a GPS tracker (not an expensive watch) and one can get dependent on it so I say tread lightly. I train with a GPS watch. I like it mostly to figure out distance or to slow myself down when I’m doing a long slow run (and to know how far I’ve come in a race LOL). I can and do run without it, but it’s nice knowing I can just run wherever and still know how far I went. I train with a GPS watch, but when I’m not training, or when I’m feeling fat and slow, I leave it at home so I can just enjoy what I’m doing and not focus too much of it. You have to balance it! I may be the only runner who hasn’t tried one yet. I like my sport watch that connects to my HRM – which I do use occasionally. I think this technology would get in my way… but for a serious racer, yes, I am sure they are very INFORMATIVE. Good read, thanks. Great post Heather! One of the best pieces of advice advice I received as a beginning runner was to map out a 1km (or 1mile) distance loop. Then run it without looking at a watch, GPS, phone etc. (This was actually before GPS watches and phones). Then have another person start a stopwatch at the start/finish point of your loop, then run that loop by feel. Try to remember the feeling in your legs, your breathing, etc. Then when you get to the finish, have your stop watch person tell you your time. Next, try to run that loop again in the exact same time (aka pace)- try to get your legs, breathing etc to FEEL the same. FEEL your stride length, your leg turnover speed and the power that you exert. Next run loops for different paces – 30sec faster, or 30sec slower so that you learn the FEEL of your tempo run, your recovery run etc. This will also teach you how LONG 1 mile, or 1 km feels like for those paces as well. While I own 2 different GPS watches, I don’t use them very often. I run by feel. I turn the GPS app on my phone (I use ismoothrun because it also does cadence and stride length which no other app I have found does), and let it run the background while I’m running and I only look at it after my run. I’m still old school I guess and I map out my run distance/route using gmaps pedometer before my run. (I have evolved from using a paper map and my car though). Great post, Heather! It brought back memories (not all that distant!) of measuring out my route with my car odometer. Then I went to the app on my smartphone and just last August I got a Garmin 220! I really love it (and the HR monitor function may be saving my life which is a different story). 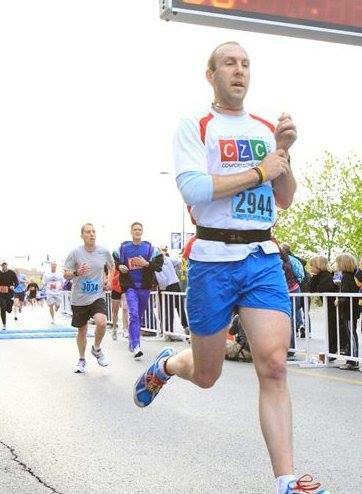 But I agree ….. it’s important to not get constrained by the numbers; running is about so much more! 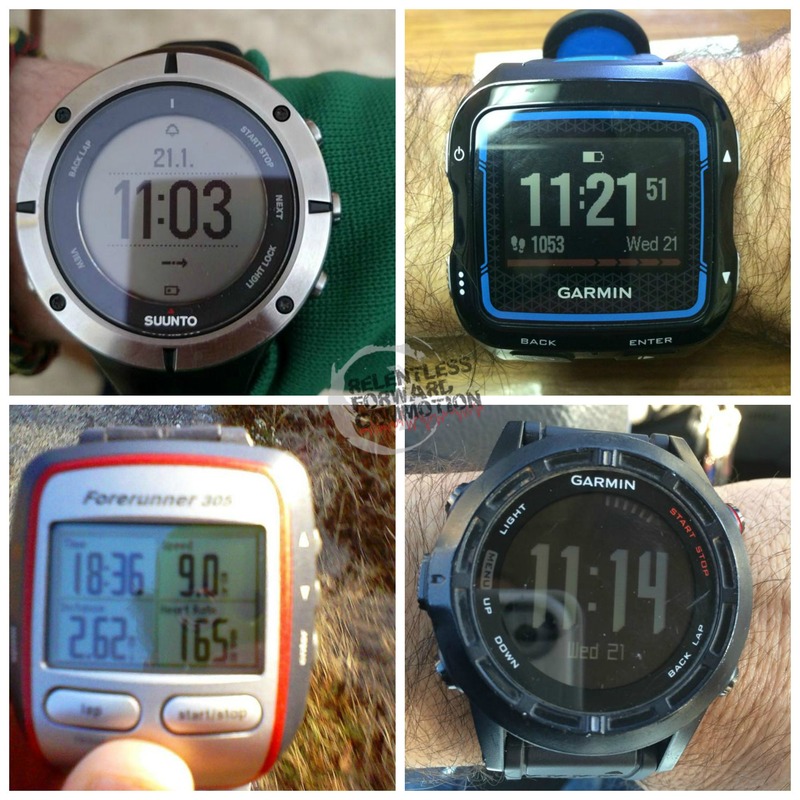 I am an unrepenant GPS junkie……long live the GPS multisport watch!!!!!!! !